We’ve been publishing Whistling Shade for 18 years now, along with the odd book (check out our latest, Encounter in Prague by Jarda Cervenka, at whistlingshade.com). It’s never made money, but we enjoy the heck out of it; I and the rest of the staff rather think of it as our own small charity project. When people ask me how we do it, I explain how publishing a literary journal is a bit like planning your own wedding. The comparison is more apt than it may at first seem. Both have invitations—though in our case, people usually invite themselves, and we have to take extra time to read all the submissions and get back to everyone, even those not invited to be part of the issue. The pre-wedding engagements—showers, bachelor parties and such—parallel our submissions meetings, though we don’t get up to as many high jinks as a bride and groom. All the planning—catering, minister, hall rentals etc.—parallel our layout process, and we have copy editing in place of rehearsals. 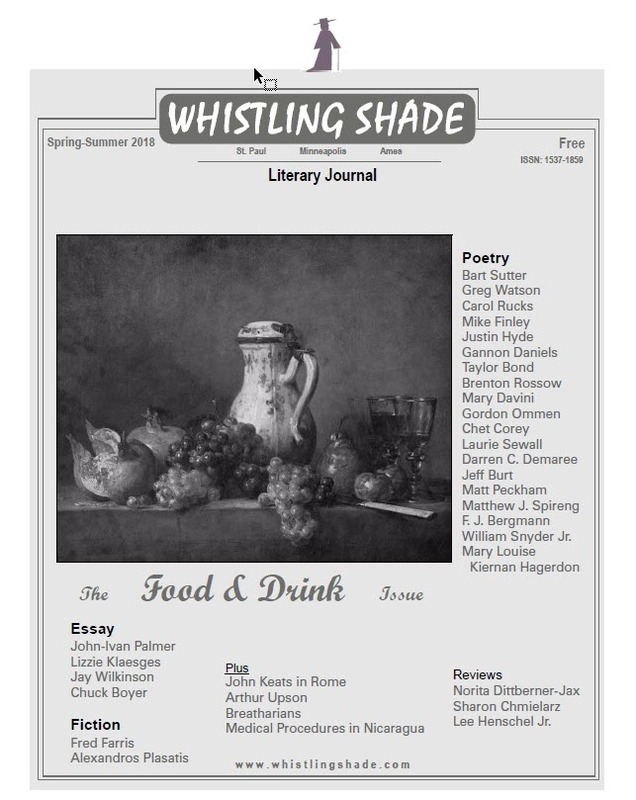 Then it’s time for the hallowed ceremony itself—in the case of a literary journal, the mystical moment when I send the PDF of the finalized issue to the printers, where by some magical process, the print issue of Whistling Shade is created. Alea iacta est! Then we have the release party—our form of a reception, complete with food and drink. 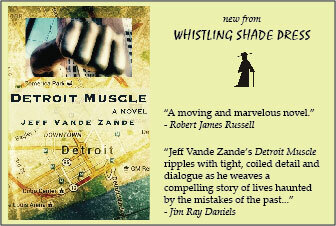 Afterwards, we travel around town dropping off Whistling Shade at various cafes, libraries and book stores. Granted it’s not as romantic as a honeymoon, but distribution is one of my favorite parts of the process, visiting familiar hangouts and greeting old friends. Finally, in place of thank you cards we have our copies we mail to contributors and subscribers; and in place of photos and Facebook pages we have our online issue that goes up soon after the print version is released. I could go on and on with this extended metaphor, but it’s getting a bit ridiculous, so I’ll just end by saying that a wedding and the release of an issue of Whistling Shade are both celebratory occasions, each one a little different, with its own unexpected moments. This time round, we’ve decided to turn Whistling Shade into a moveable feast, stuffed with viands and cordials, hopping from a Greek cafe to the streets of Nicaragua, from an orchard to a cow pasture, from a Packer bar to a Minnesota rice harvest to the beaches of Normandy. And on the menu we have lefse, almonds, lots of blue food, and leftovers—with a 16 oz. Old Style Lite to wash it down with. We even have an article on the breatharians—those who eat only air and sunlight (or at least that is the claim). So tuck your napkin in and enjoy the banquet. A special thanks to Fred Ferris, a World War II veteran, for his contributions to the buffet.